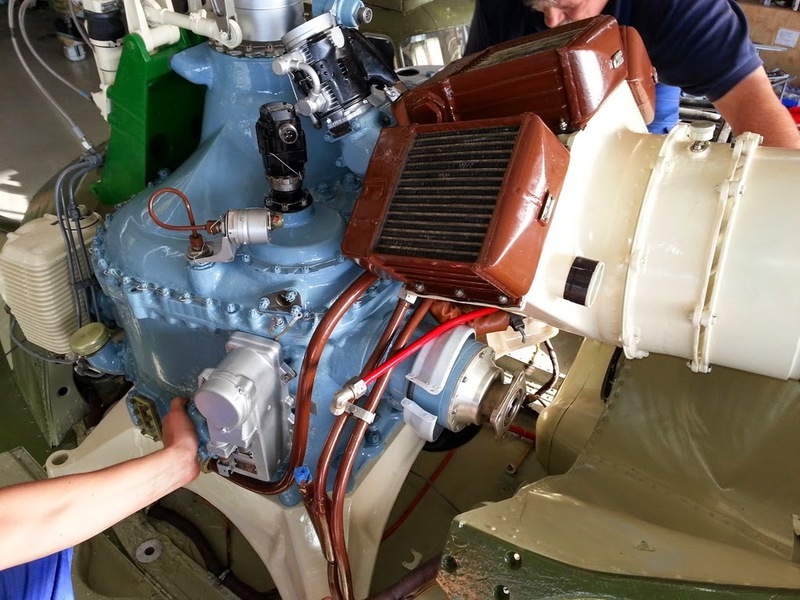 After the start of a dark and dreary rainy day (somewhat of a rarity here in sunny Texas), the rain stopped and the sun came out so we were able to open the hanger doors and remount the transmission on #214 (shown here with #213 in the background). 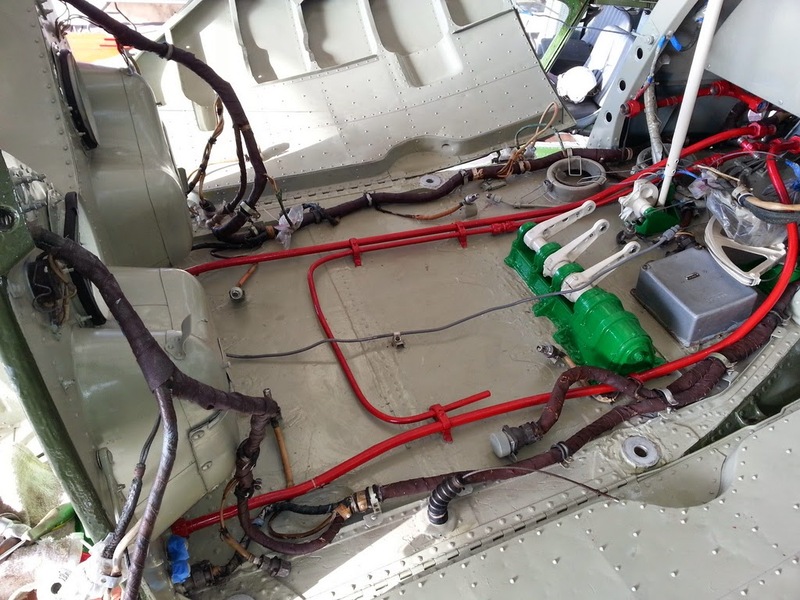 The fuselage of 214 has been completely stripped and repainted. After years and years of service this transmission compartment has not been this clean and shiny since it was at the factory (and maybe not even then). 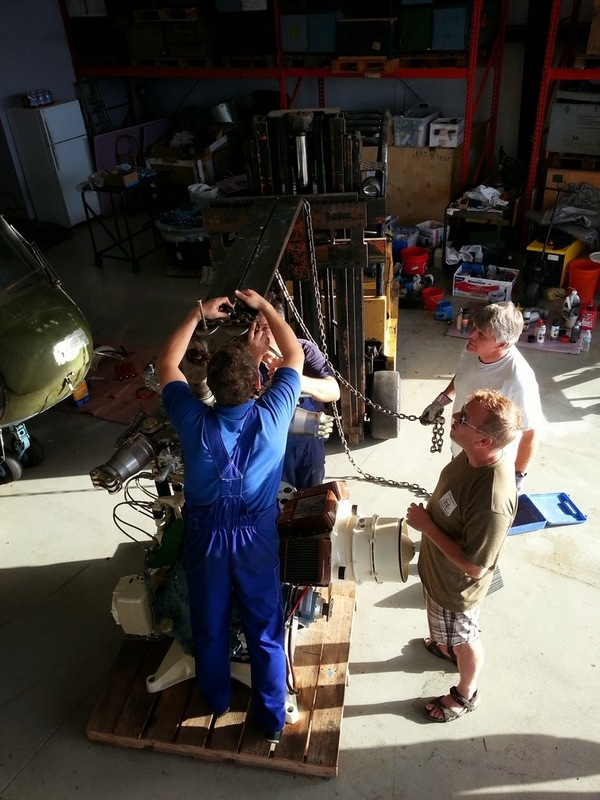 After an emergency call to get the venerable forklift into operation (a vertical lift beast of its own kind), the transmission was rigged for placement under the watchful eye of museum directors and volunteers. 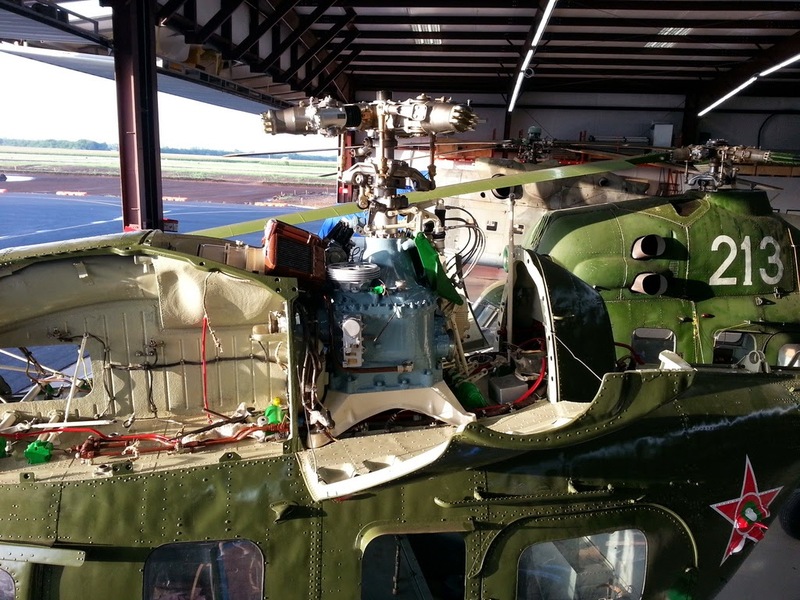 Of course like all good things helicopter, the transmission could not simply be "dropped" into place. After achieving near perfect vertical and angular alignment, the twin turbine drive shafts must be guided through tight bulkheads into the turbine compartments while at the same time the control rods, cables and connections are guarded or guided into position. With a generous application of attention and a few words of persuasion, the transmission was soon in place. As the sun sets over the Texas prairie a transmission once again sits atop #214. 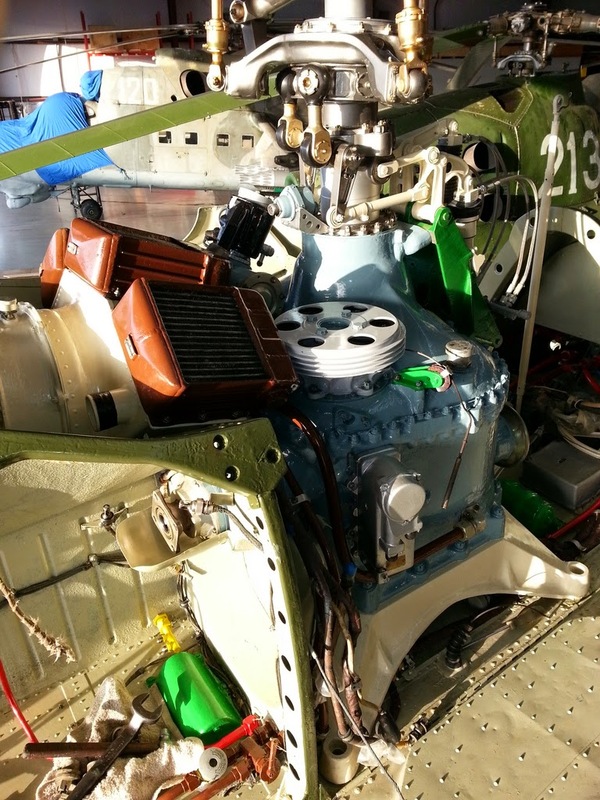 The persnickety drive shaft for the left turbine is visible through the bulkhead in this photo illustrating the place, mate and "slide" 3D puzzle referenced in the photos above. As #214 progresses back into service, we hope to provide a new series of restoration posts as before.